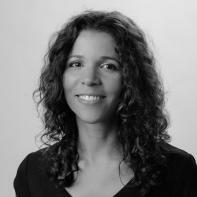 Ananda Lima’s work has appeared in The American Poetry Review, Rattle, The Offing, PANK, Origins and elsewhere. She has an MA in Linguistics from UCLA and is pursuing her MFA in fiction at Rutgers University, Newark. She was selected for the AWP Writer to Writer program and has attended workshops at Bread Loaf, Tin House, the Community of Writers and Sewanee, where she currently serves as staff. Ananda is working on a full-length poetry collection centered on immigration and motherhood, and a novel set in Brasilia, where she grew up as the daughter of migrants from Northeast Brazil.